Why resist a legal path to citizenship if voters support it? Jump to video Does GOP need an 'immigrant friendly' message? 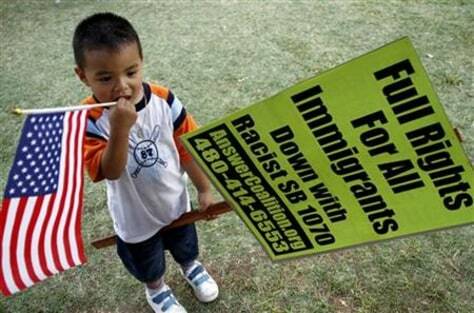 Samuel Aldaraca holds a U.S. flag and a sign outside the Arizona's State Capital in Phoenix on July 28, 2010.